I just updated my Google Chrome. It seems to be synchronizing with the Mojave macOS that I use with the dark mode. Google Chrome activates its dark mode without asking me. I hate it. I prefer to use the light mode with some custom themes. How can I revert Chrome back to light mode despite Mojave's dark mode? This question is on behalf of a family member who is looking to acquire a Pixel 3, but is concerned about how this is handled (even if applications can read the other's data). I have been able to find details of how the Gmail application works with credentials for Gmail accounts, but for other types of email and in other cases, the details seem more confusing (or the answers are more than five years old). Of course, it is expected that for email protocols such as POP3 the client must send the credentials of the device to authenticate with the service; This question is about whether they could be sent to another place too, for whatever reason, and if this can be controlled. 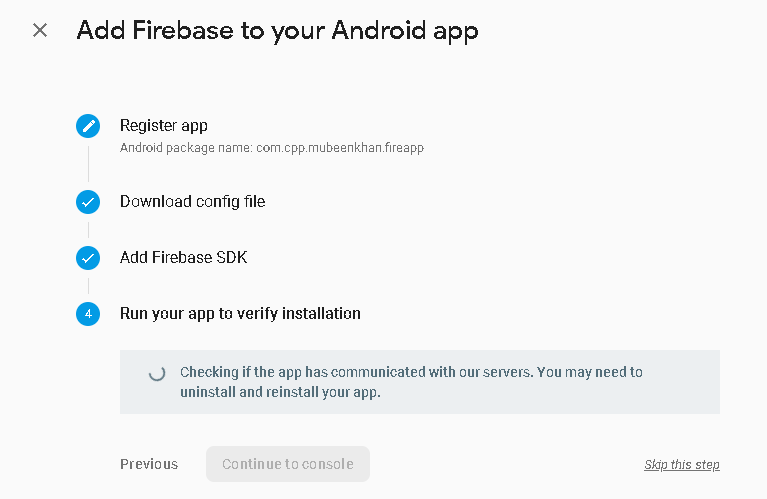 I am trying to connect my application with firebase.i. I follow the whole procedure accordingly. I still have this problem since the last 2 hours. I see different videos and the dependencies change but the problem is still unresolved. How can I keep Mac messages in sync while the Mac is idle or off? At night, after 9 p.m., my iMac is asleep or turned off. If during that time I receive messages on my phone, they will not appear in the Mac message history when I turn it on or turn it back on. I hate that my different devices (phone, tablet, laptop, desktop computer) have different message histories. In general, the phone is the only complete one, since it almost never shuts down. Is it even possible to get a Mac to recover recent messages that were lost? Activity Monitor is not displayed cloud or another process transferring a lot of information either. I'm looking for log files in / var / log or ~ / Library / Logs, but can not find anything. 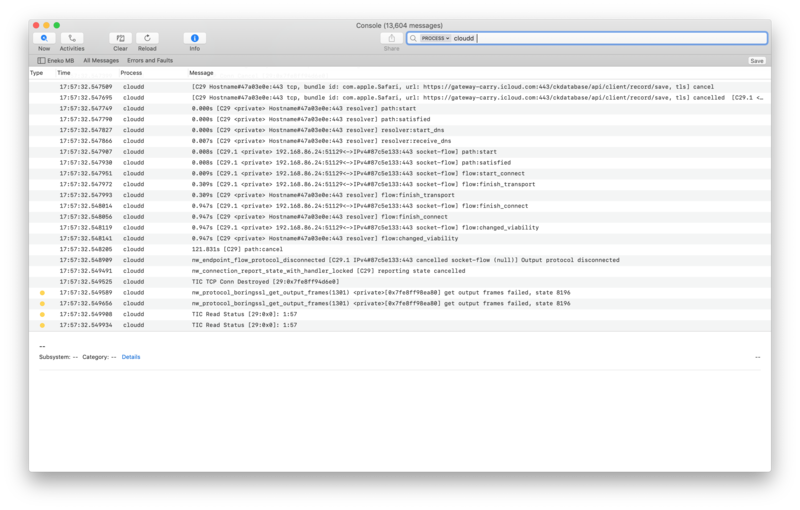 Is there a log file that could be used with tail To see the synchronization activity of iCloud in real time? What is the difference between the flash sync speed and the shutter speed of the flash in the Nikon menus? There are additional details that can be added. The smaller models do not have the E1 or E2 menus, nor Auto FP. Nikon Menu E1: Auto FP shutter speeds do not really set the shutter speed used. The shutter speed is still as automated by the measurement, or as set manually, possibly even with very normal shutter speeds. However, the mechanical shutter has a maximum synchronization speed, usually 1/200 or 1/250 seconds for Nikon. Because a faster shutter will not be fully open to allow the flash to illuminate the entire frame. HSS (Auto FP) is a way that you can avoid it, at a great cost to flash power, range and speed. Models like your D7200 can synchronize the flash to 1/320 in flash mode, if the Auto FP 1/320 menu is used, but if the shutter speed is not greater than 1/320 (faster it would fire the HSS mode , it will no longer be the speedlight mode). Auto FP allows the shutter speed to be faster than the maximum sync speed (only if the speed is measured as necessary), because Auto FP enables the HSS (High Speed ​​Sync) mode. "Automatic" means that if the shutter is allowed to go higher than the maximum shutter sync speed, only then will the flash mode change from flash mode to HSS mode (HSS mode will only be effective if the shutter speed exceeds the maximum synchronization speed). , or exceeds the notation of the Auto FP menu). That is, if it is used with a flash compatible with HSS. The internal flash can not do HSS, but it can be a driver for a remote HSS flash. Therefore, in Auto FP, the only time HSS is actually in effect and used is when the shutter speed is faster than the Auto FP menu notation. That means that the ability of the flash in brighter areas can vary drastically when the automatic shutter speed passes the automatic FP speed, or down again. The great unexpected variability is an excellent reason to turn off automatic FP unless this HSS function is really desired. E1 Flash Sync Speed ​​has another dark use, if it is set low, about 1/60 second, it will not allow a faster flash shutter speed (it becomes a maximum artificial sync speed). You probably do not need a slower limit, and yet the real idea is to configure E1 to the actual maximum synchronization speed specification of your camera, 1/200 or 1/250 seconds, depending on the Nikon model. The real meaning of this choice is that neither would it select, or disable Auto FP and HSS (HSS has some disadvantages). You can always configure E1 in Auto FP to enable HSS if and when the situation arises. Nikon Menu E2: The slower shutter speed is allowed if the flash is used, if the modes A or P (however, the camera must recognize that the flash is present for it to take effect, ie a compatible communication). The default is 1/60 seconds, slow enough if held by hand. In A or P mode, the shutter speed depends on the measured environmentTherefore, due to this E1 limit, indoor flash in A or P mode will ALWAYS use this shutter speed of 1/60 seconds (assuming the automatic ISO is OFF), a good reason to consider camera mode M with flash indoors. You can choose a slower E2 menu limit, but the only way in A or P modes to make the shutter speed faster than 1/60 with flash is to turn off a brighter light that will measure faster. Manual mode M has a lot to say when using flash. The only idea of ​​this slow limit is that the flash is normally used in places with low light, where the shutter speed can be very slow, as maybe 1/8 of a second. The ambient temperature measurement sets the shutter speed (but E2 resets it). But if you use flash, there is no reason to suffer 1/8 of a second, so this minimum speed of 1/60 is applied (in A or P modes). The 1/60 is NOT about the measurement, it's just about the grip of the hand (about the blur that the hand's environment could cause). The environment that the 1/8 second meters will then be underexposed to 1/60 of a second (assuming the automatic ISO is OFF), but that's fine since you're using flash instead. It is difficult for the underexposed environment to be blurred, which allows the fast speedlight to handle those problems. I think that essentially all automatic cameras apply a similar shutter limit of 1/60 seconds with flash. The TTL level can react to automatic ISO, but the manual flash can not. If Auto ISO is not disabled with the internal flash, then the environment will rise to normal exposure levels, and then the orange glow and the white flash will mix with the white balance, which is another new problem. Exceptions to E2: slow synchronization is an option in the synchronization menu that ignores this E2 configuration of the minimum speed (maximum time). Slow synchronization will continue to use the slow shutter speed that has actually been measured or set (and the flash will become the fill level for the environment). The synchronization of the rear curtain also makes the synchronization slow, wanting to see that blurry path. In addition, camera modes M or S will continue to use the set shutter speed, ignoring menu E2. I just received my first Nikon Flash (for my D7200), when I look at the support and flash menu, there are two elements that confuse me: one is called Flash Sync Speed, the other is called Flash Shutter Speed. For the synchronization speed of the flash, there are two options: 1/250 auto FP and 1/320 auto FP and some others like 1/250, etc . : when it is configured in those with auto FP, the flash will calculate the time interval output to ensure that the entire shutter exposure process is illuminated when the shutter speed exceeds that number. If it is set to those without automatic FP, the flash will only provide the correct light for that specific speed. It will automatically adjust the shutter speed to that specific speed, not slower allowed. Could someone help me verify my understanding and give me some concrete examples on how to use those options? I have made some adjustments to the library we are using, but now users can not directly edit the items on the desktop. However, I can. When they try to upload a new document, they are asked for administrator rights. How can i fix this? So that each user can re-edit and upload documents on the fly.